Leiomyosarcomas that have been distinguished from malignant GISTs are extremely rare in the gastrointestinal tract. 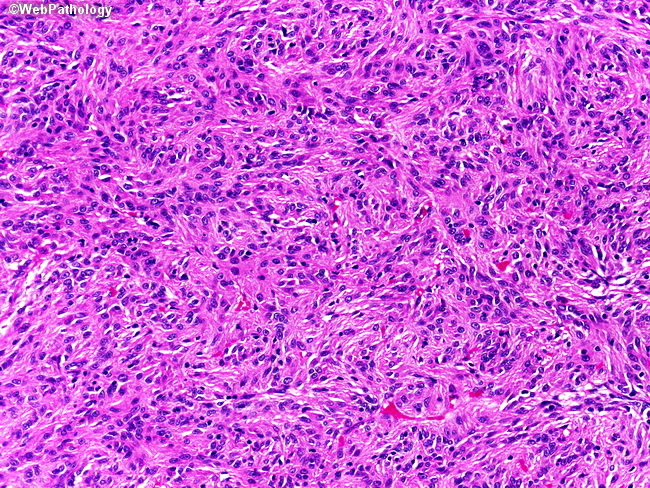 They are composed of spindle cells with marked nuclear atypia, abundant mitotic figures, and necrosis. They also stain for desmin and smooth muscle actin.